(P1) Last month’s terrorist attacks in Brussels heightened already existing fears of ISIS building and setting off a dirty bomb in Belgium, and now the government is taking no chances. Health Minister Maggie De Block announced Thursday that iodine pills—which counteract radiation build up in the thyroid gland, the part of the body most sensitive to Iodine-131—will be rationed out to the country’s entire population of 11 million people, the Telegraph reports. This expands on Belgium’s previous program, which only covered allotments for those who lived within 14 miles of two major nuclear plants. The augmented rations were proposed after experts recommended expanding affected areas to those within 62 miles of the plants—basically the entire nation (NBC News notes Belgium is about Maryland’s size); the new rules have yet to be finalized. (P2) Rations will be sent to pharmacies, with pregnant women, breastfeeding moms, and kids getting first dibs. “Given the population density and the risk of a nuclear disaster, this was absolutely necessary,” a Belgian politician told local paper La Libre, per RT.com. There are a couple of reasons for concern being cited, including a 10-hour surveillance video that shows the home of a senior Belgian nuclear official that was found in the possession of a man arrested after the Paris terror attacks. And there’s also the dilapidated state of the four-decade-old Doel and Tihange nuclear plants, with reports of metal degradation and fires, but De Block says the new pill mandate has nothing to do with facility safety concerns. RT.com calls Iodine-131 “one of the most harmful radioactive elements that can be released,” and notes it was linked to 5,000 thyroid cancer deaths in the wake of Chernobyl. 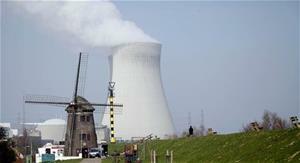 Are there nuclear power plants in your country? If so, where are they located? Is your country under heightened security because of potential terrorist attacks? If so, how has it been heightened? How has the world changed due to the potential of terrorist attacks? Are you for or against nuclear power plants? Why?